We are glad you came to visit! 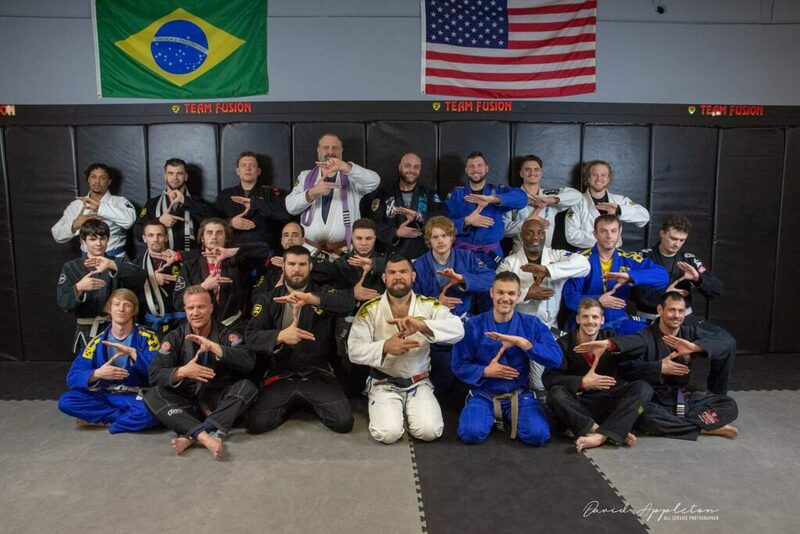 Team Fusion Jiu-Jitsu & Mixed Martial Arts in Springfield offers something for everyone. We train in Brazilian Jiu-Jitsu, Submission Fighting, American Boxing, Muay Thai Kickboxing, Wrestling and other forms of combative sports. Mixed Martial Arts classes are our specialty. Many people are interested in Mixed Martial Arts but can't seem to find a place to train where they feel safe as a beginner with little to no experience. Our main focus is to provide a comfortable atmosphere for those who would like to experiment in the world of Mixed Martial Arts. Rest assured, this is a place you will be able to train at a pace and level that is comfortable for you while you learn the ropes of Mixed Martial Arts! We encourage you to call us at (417) 595-4423 or stop by to check it out. You can even check out a class or two for FREE to see if this is the right place for you! The most important aspect of choosing a place to train is how you feel when you are there. Find a place to train that feels like family. The more welcome you feel the more likely you are to continue in your training. If you are looking for Brazilian Jiu-Jitsu or any of the other combative fighting styles we offer in the Springfield Missouri area, please fill out the form and we will give you a promo code for a free trial to any, or all, of our classes. We offer a variety of different types of martial arts and combat skills. Check out what we offer and see if there is one that's right for you! If you see several that you are interested in, drop us a line and let us know if you're interested in the free trial.